MetalRockNews: Chris Cornell: "Kids want to sound like Skrillex more than Nirvana"
Chris Cornell: "Kids want to sound like Skrillex more than Nirvana"
Soundgarden singer Chris Cornell was recently interviewed by The Rock FM, you can read some excerpts below. 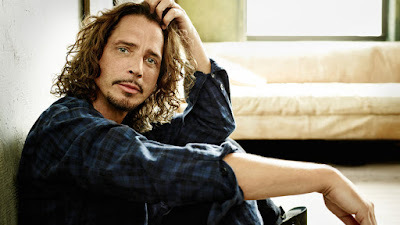 About the current state of rock music, Cornell said: "I think really to understand the current state of rock music you sort of have to be able to shift the perception a little, or think about what rock music means…and to me I think kind of, and I think what it always meant from the very beginning that it was sort of the homespun music of the street…or anybody’s music, it was the voice of anybody who wanted to do it, who felt like doing it. You didn’t have to be musically educated, you didn’t have to be literally educated, you didn’t have to come from royalty…you could be anyone and anyone could participate in it, like country and western." He continued: "I think a lot of that has shifted to the hip hop world or even the electronic world, where now, you can make an album on a laptop inside a studio apartment and young kids that are listening to music, as opposed to guitar based rock music or even music that even be made on a laptop, and they’re learning how to do it, and that’s inspring them. They have the capability of doing that. I think having technology, plus having some really huge hip hop artists, has shifted that to where the first urge of some kids who write a song or make a recording, might not be guitar, bass, drums and vocals, it might not be 'let’s try to sound like Nirvana', it might something much more in the direction of hip hop or rap or electronica, it might be Skrillex instead."